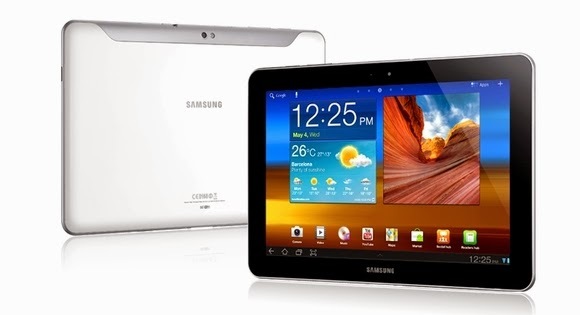 Recently, Samsung has introduced new series of electronic tablets the Galaxy Tab 4, with three new models measuring 7, 8 and 10 with Android 4.4 and the target consumer. The design of the three models of Galaxy Tab 4 is basically the same as compare the previous generation, always taking into account the use of the model preferably horizontal 10-inch and vertical design for 7 and 8 inches. The new Galaxy Tablets has a physical button. These new tabs would be available in two colors black and white. All three tablets has same hardware base SoC Qualcomm Snapdragon 400 micro accompanied with quad core processor and 1.5 Gbytes of RAM, 16 GB of storage capacity with expandable micro SD and standard connectivity including Wi-Fi, Bluetooth, GPS and support for LTE mobile broadband in all three models. Also, each of these tablet feature the same display resolution of 1280 x 800 pixels. This was all about the recently revealed Galaxy Tab 4, which would be available, worldwide this quarter only but the price is not confirmed for each model. As said earlier, all these 3 tabs have the same specifications and hardware just the price and size would differ and you could chose accordingly to your budget and need. But it would be very difficult for someone who is struck between 7 inches and 8 inches version, as there is no big difference. I would personally prefer 7 inches version as it would be more portable and I would able to save few bucks too. No doubt, Samsung is taking the number of its available gadgets to another level and no one in the market can beat them if we consider the number of released devices in every couple of months. Recently, there are rumors about Galaxy Note4 beast, which could make its entry in another three months from now. Samsung growth is touching the sky but we might see other rising brands like Sony and HTC, which will affect the sales of Samsung devices for sure, let’s wait and watch the real war in upcoming months.